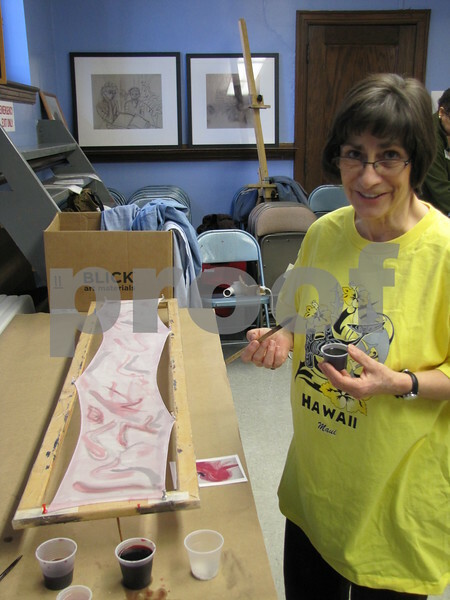 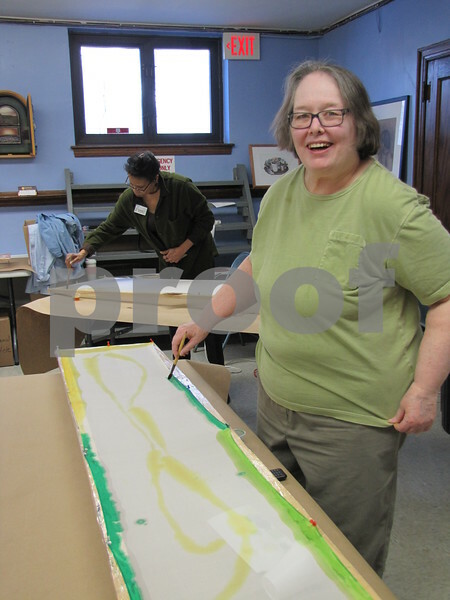 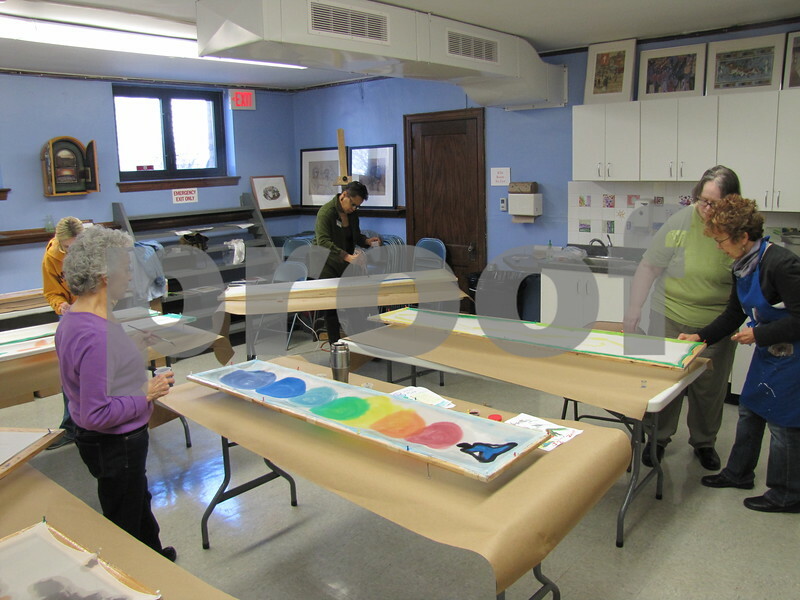 Deb Nerness applies paint to a scarf in the silk painting class held at the Blanden. 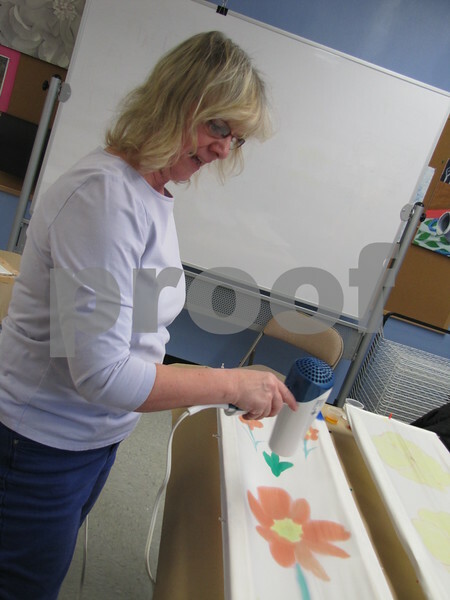 Mary Vollmer speeds the drying process before adding another color to her scarf. 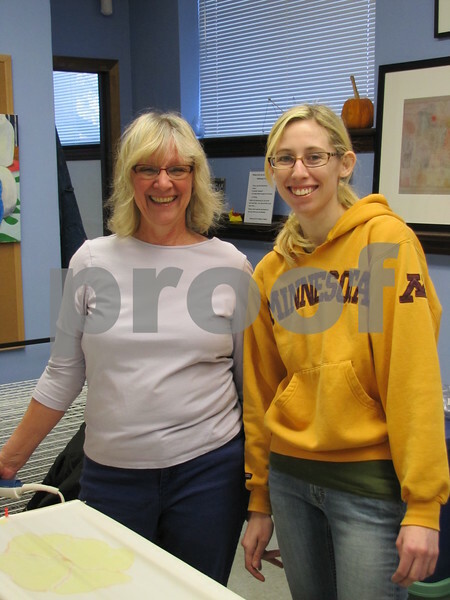 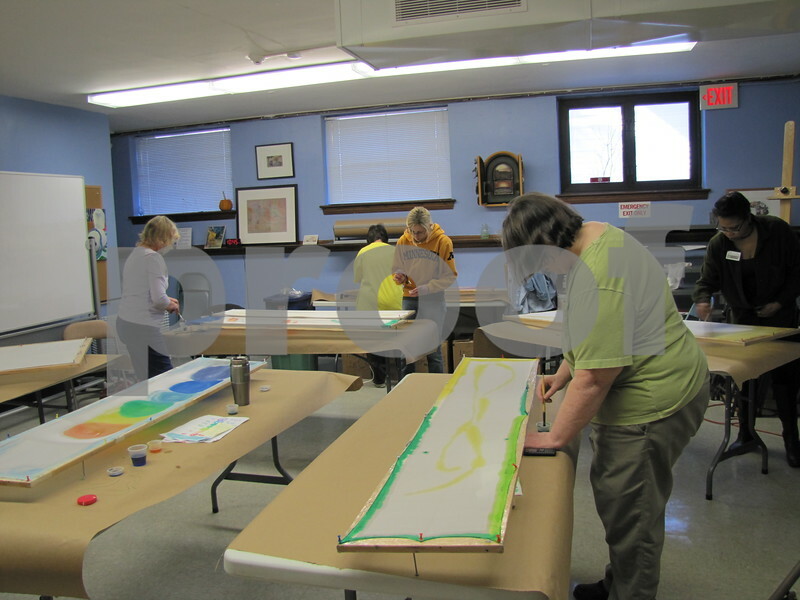 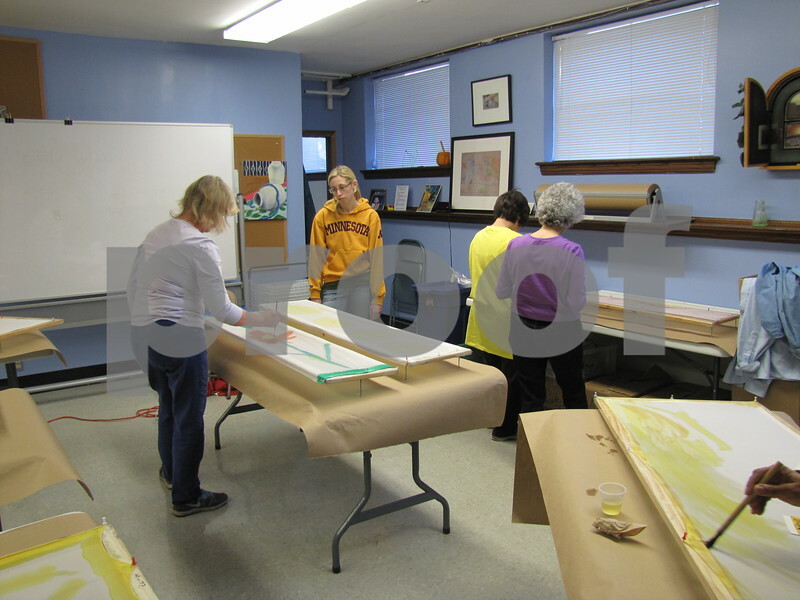 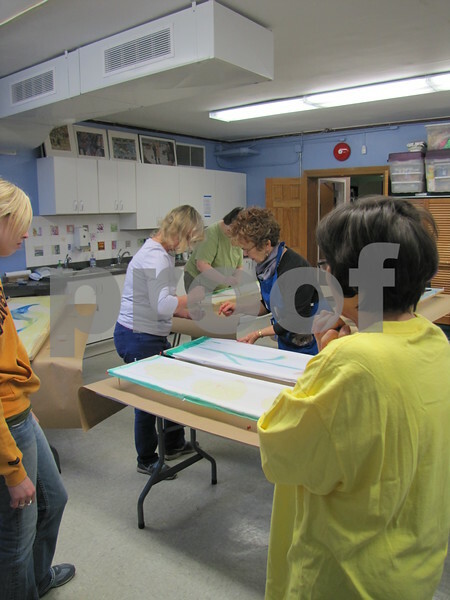 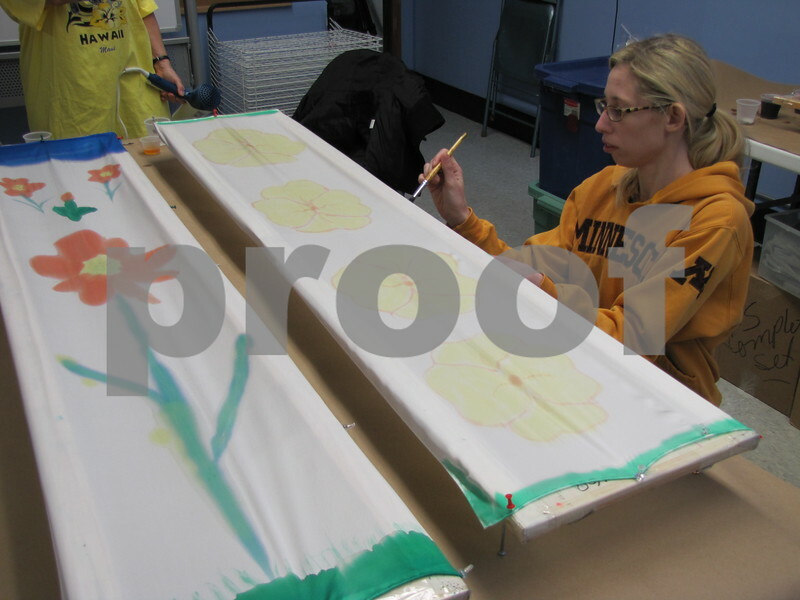 Mary Vollmer and her daughter, Keeley Vollmer attended the silk painting class together. 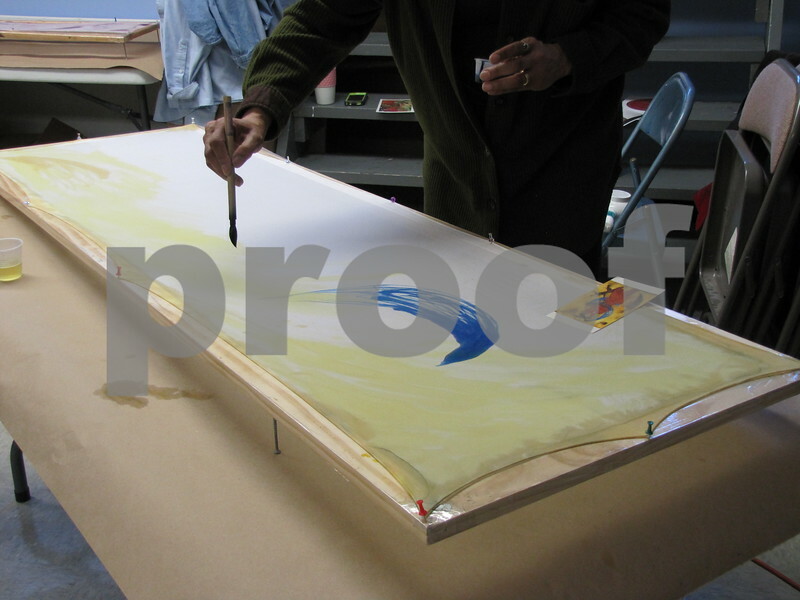 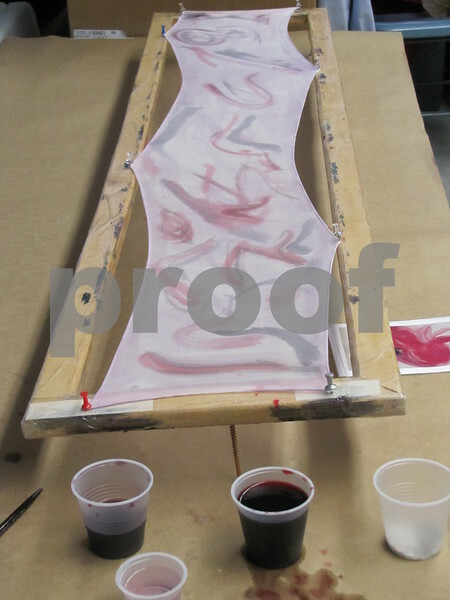 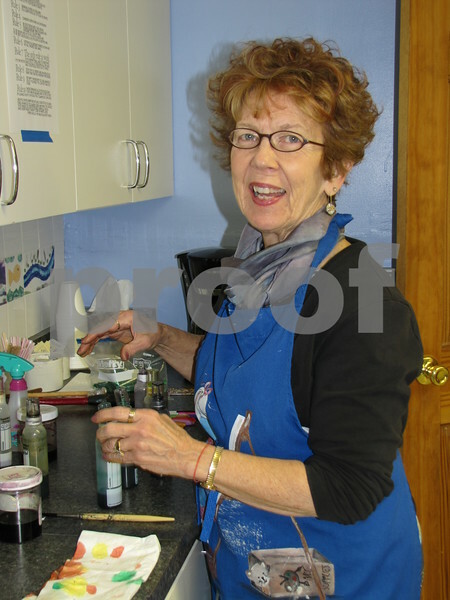 Pamela Kay applies paint to her one-of-a-kind scarf. 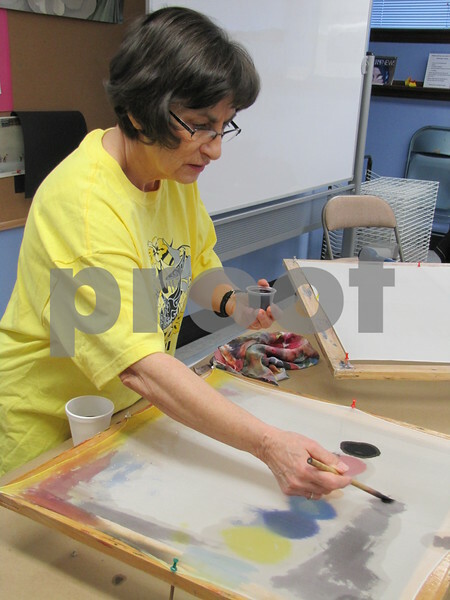 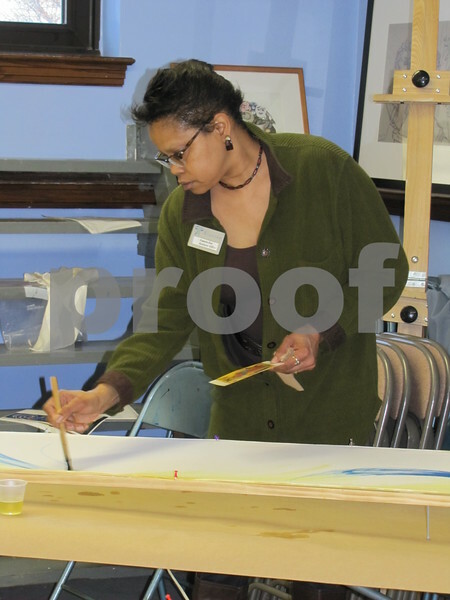 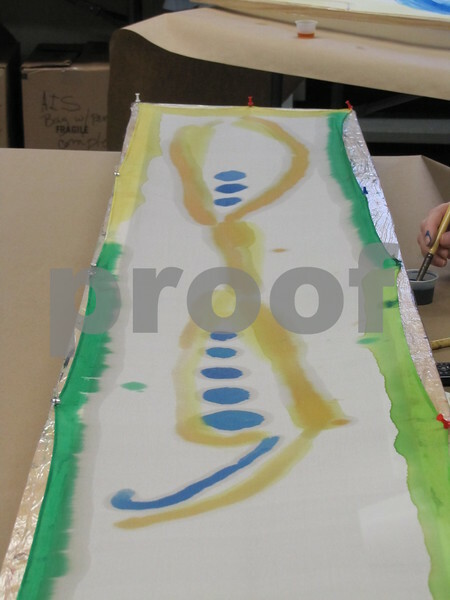 Pam Sanders was the artist/instructor of the silk scarf painting class held for adults at the Blanden. 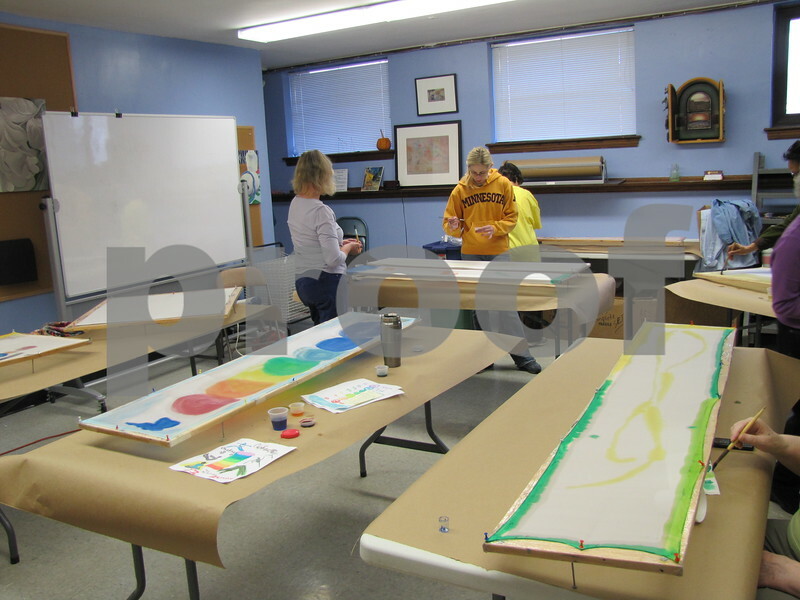 The class is offered once in the spring and once in the fall. 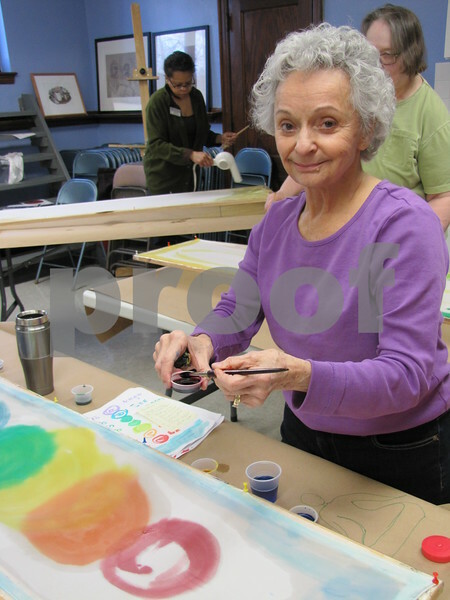 Keeley Vollmer applies color to the edges of her scarf. 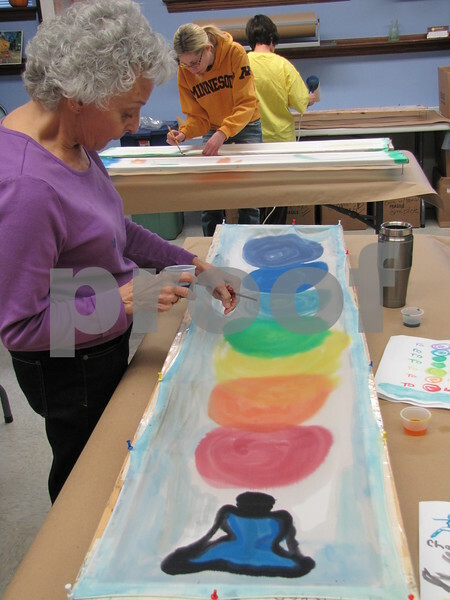 Jane Zenor created a colorful yoga theme for her scarf. 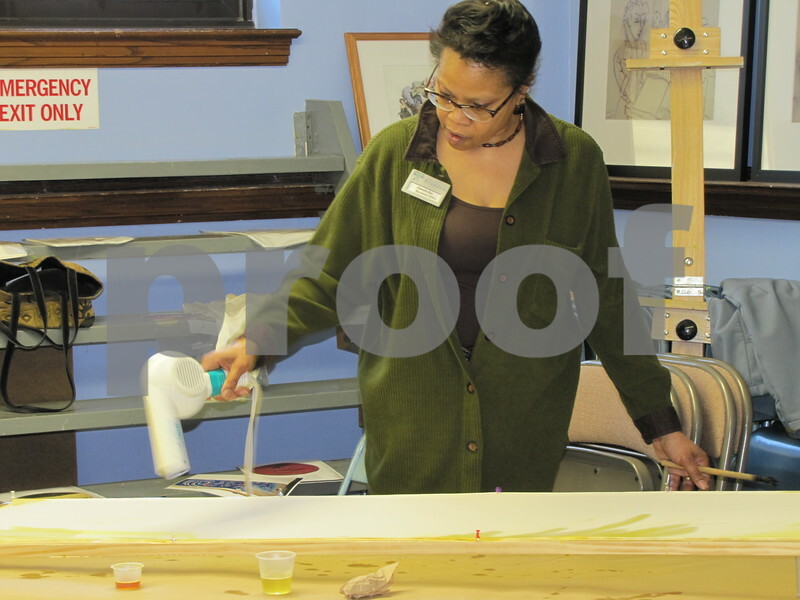 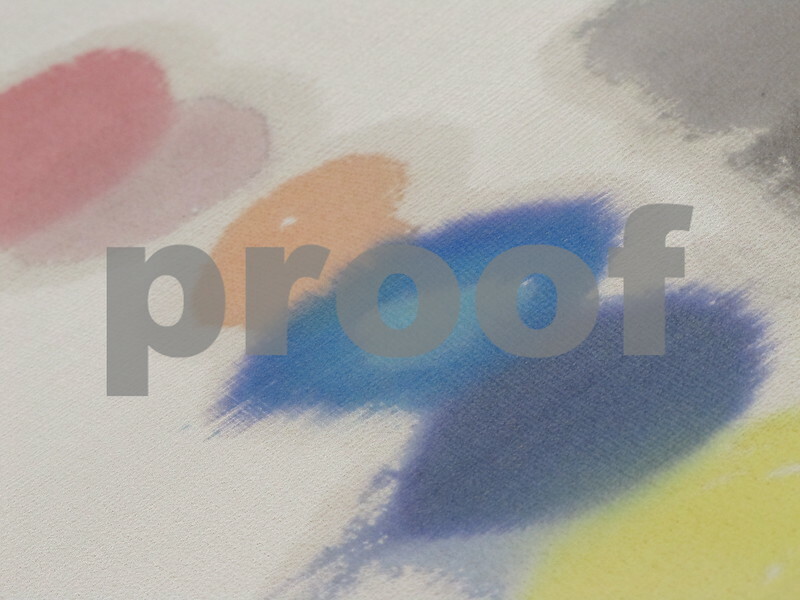 Mary Wilson experiments with a color on the test scarf. 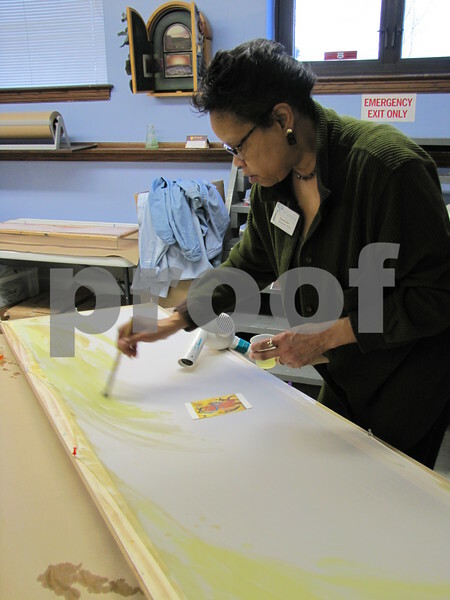 Mary Wilson pauses while working on her silk scarf. 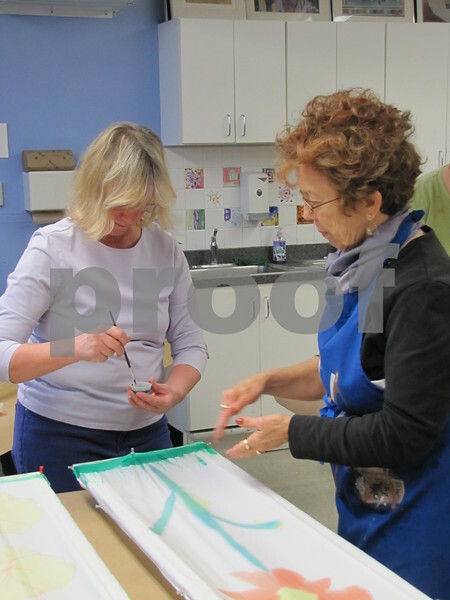 Mary Vollmer receiving some instruction from artist Pam Sanders.